A Russian-led military alliance has started exercises in Central Asia partly aimed at defeating any popular uprisings inspired by the Arab Spring. Dealing with social unrest is a priority for the Collective Security Treaty Organisation (CSTO), a security pact including Russia, Kazakhstan, Kyrgyzstan, Uzbekistan, Tajikistan, Armenia and Belarus. Last week General Nikolai Makarov, head of the Russian army, told a newspaper that training to deal with social uprisings similar to those seen in North Africa and the Middle East and the increasing threat from militant Islamists would be the focus of the military exercises. â€œAccording to him, the exercises would be especially aimed at defeating negative developments shown from the examples of Libya and Syria and the export of destabilisation after NATO leaves Afghanistan in 2014,â€ Russian newspaper Vedemosti reported on Sept 13. The military exercise, running between Sept 19 â€“ 27, is one of the biggest in the CSTOâ€™s nine year history. 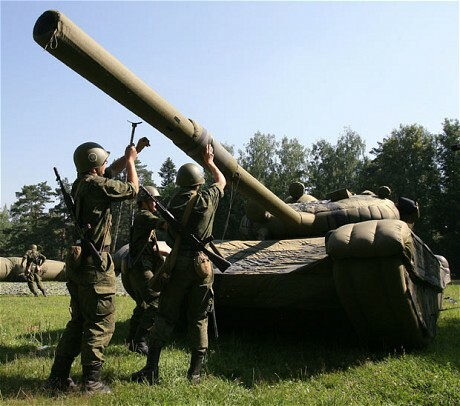 Around 12,000 soldiers, 100 tanks, 50 warplanes and 10 ships would take part in manoeuvres in Russia, Kazakhstan, Kyrgyzstan and Tajikistan, Russian news agency RIA Novosti reported. Central Asiaâ€™s leaders have been watching as revolutions in North Africa and the Middle East overthrew regimes which, like many of them, have been in power for decades. They have recently looked to the CSTO to maintain regional stability and pledged to strengthen its military capability. They have also said they will monitor social media websites which many people said helped spread the uprisings across the Arab world. Earlier this year the Kazakh political elite ditched plans to make President Nursultan Nazarbayev, who has been in power since independence in 1991, the countryâ€™s unelected leader until 2020. Instead, after a popular revolution in Egypt, they organised a hasty election to prove Mr Nazarbayevâ€™s democratic credentials. He won another term easily. In Uzbekistan the state has filtered out images from the Arab revolutions from the internet. The CSTO military exercises assumed extra importance earlier this month when a militant Islamic group released a video promising to attack government forces and â€œnon-believersâ€ in Tajikistan. The CSTO has said it is particularly worried about the spread northwards of militant Islam once NATO leaves Afghanistan in 2014.